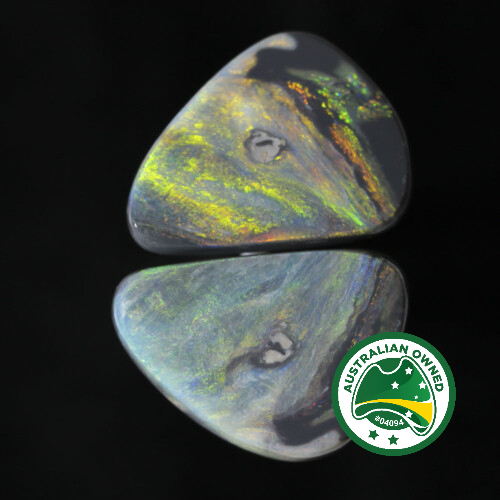 Our Black Opal Pairs are obtained by sawing through the opal seam to get what is called a book leaf pattern (a mirror image). 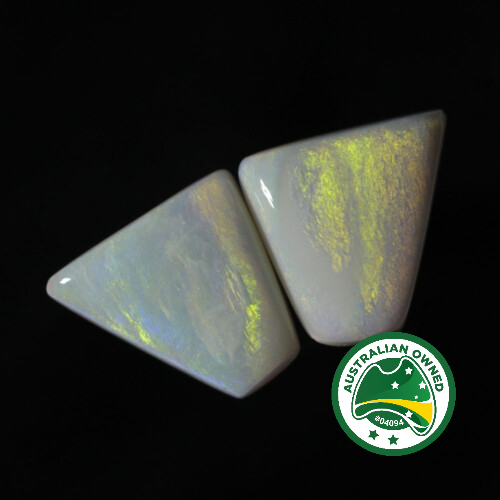 The resulting two natural gemstones are then cut and polished to shape. 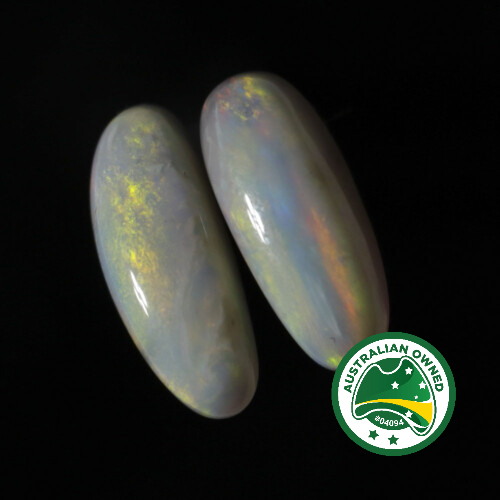 These matching pairs are ready to be used in jewellery such as earrings or creations requiring two stones of the same size, look and shape. 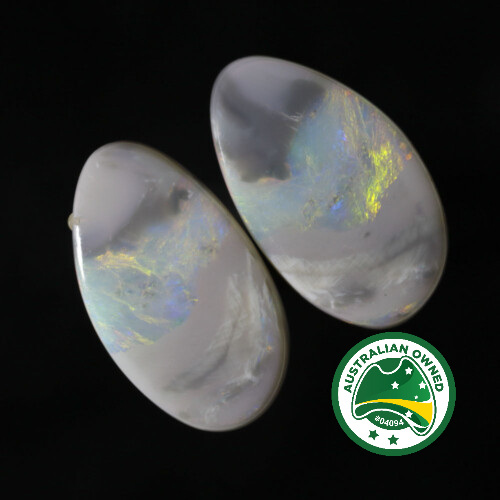 Black Opals are the rarest opals in the world and the most valued, they come from the Lightning Ridge in NSW.